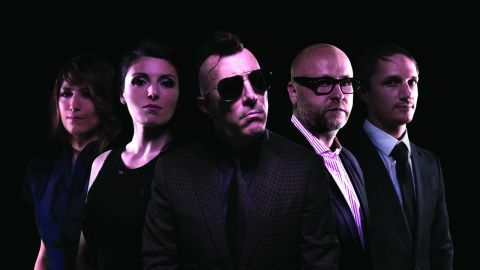 As Tool fans continue to battle wholesale emotional implosion in the months leading up to that band’s first new album in nearly 10 years, frontman Maynard James Keenan returns with the latest from Puscifer: his rotating art-rock collective dedicated to provocative experimentalism and heroically snarky lyricism. Rippling with slow, mesmerising tempos, icy atmospherics and occasional shards of jagged industrial strafing, Puscifer’s first two albums tapped into a rangey spectrum of moods united by an unmistakeable attempt to not sound like Tool. While fans have come to expect such gratifying irreverence, Puscifer’s puerile posturing largely cedes to a more vulnerable and viscerally arresting vision, casting Money Shot as the band’s, dare we say, most mature and utterly enthralling campaign yet.